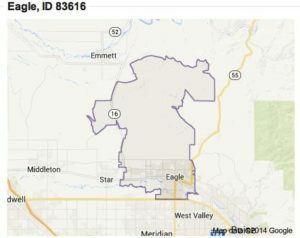 Eagle, Idaho has the well-earned moniker of being known as the Ada County’s ‘Bedroom Community’. A fully-functional, charming little respite, complete with an old town village feel, miles of greenbelt riding/walking paths, not to mention easy access to the Boise River as well as the surrounding foothills. Many newer neighborhoods surround the small but thriving downtown Eagle area and for those equestrian enthusiasts, smaller one to five acre parcels geared for horses and country living, still abound.